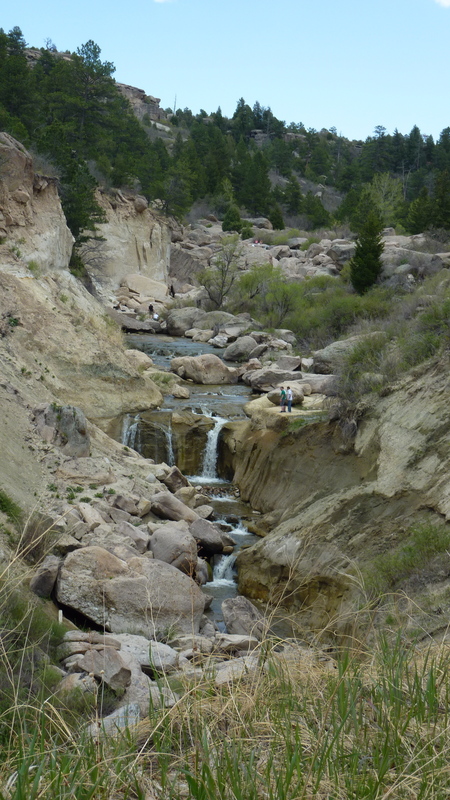 Many years ago, back in the late 1800s, some visionary engineers build a dam on the Cherry Creek as it meandered through Castlewood Canyon. Unfortunately, they didn’t build the dam very well. It was structurally flawed, and in August of 1933 the dam burst, sending a 15-foot wave towards Denver. 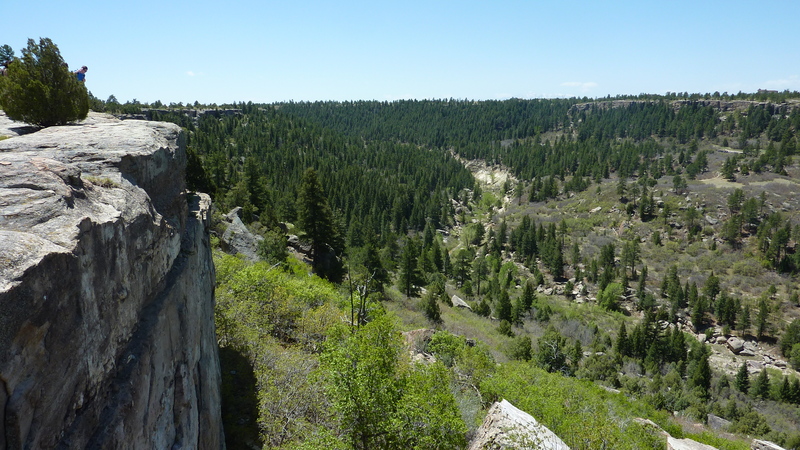 * These days, visitors to Castlewood Canyon State Park can view the dam ruins and enjoy the beauty of this unexpectedly lush canyon through a variety of trails. * Sources are Wikipedia, a park brochure [PDF], and Colorado State Parks & Natural Areas by Frank Weston (a wonderful book about Colorado’s parks). 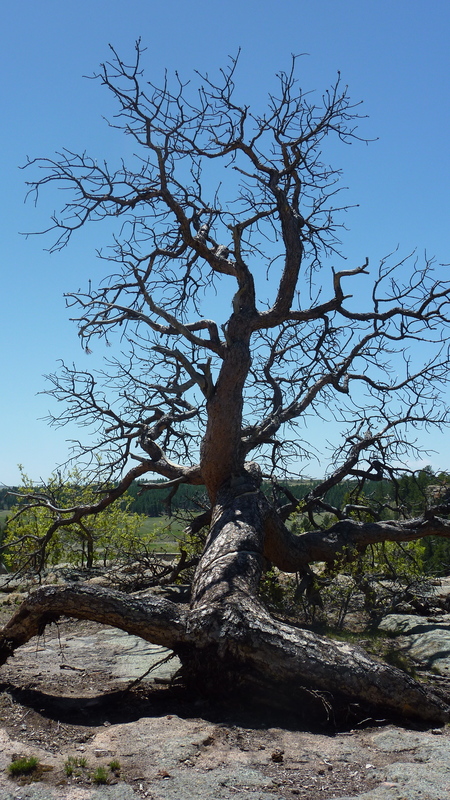 Castlewood Canyon has been one of my favorite places since I was a teenager. I went with friends as a high school student, and in college looked at the dam as part of a geology project. 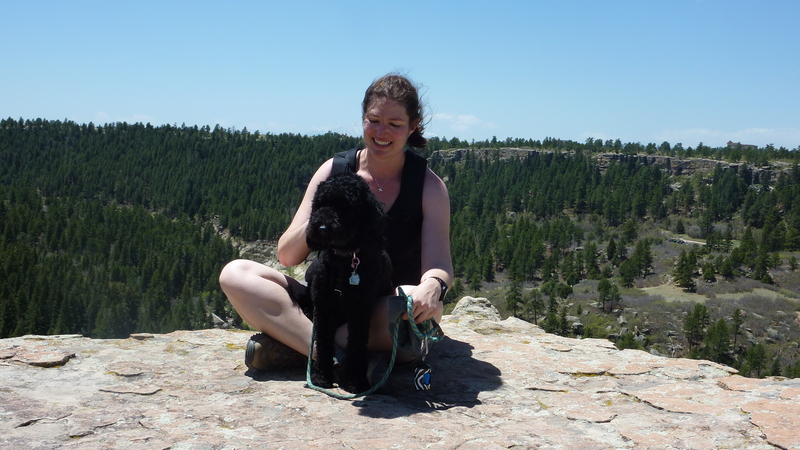 But yesterday was the first time I hiked the Rim Rock trail. I will be back. 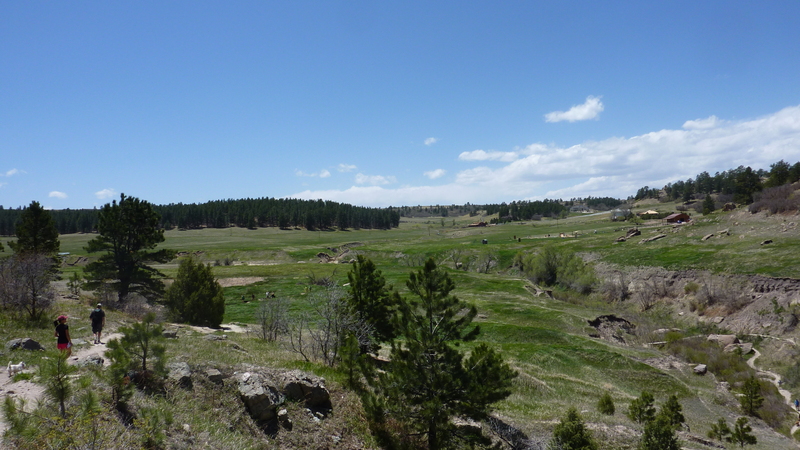 We entered the park through the less-used West Entry, and headed North on the Creek Bottom trail, descending into the canyon before crossing Cherry Creek and hooking up with the Rim Rock trail. 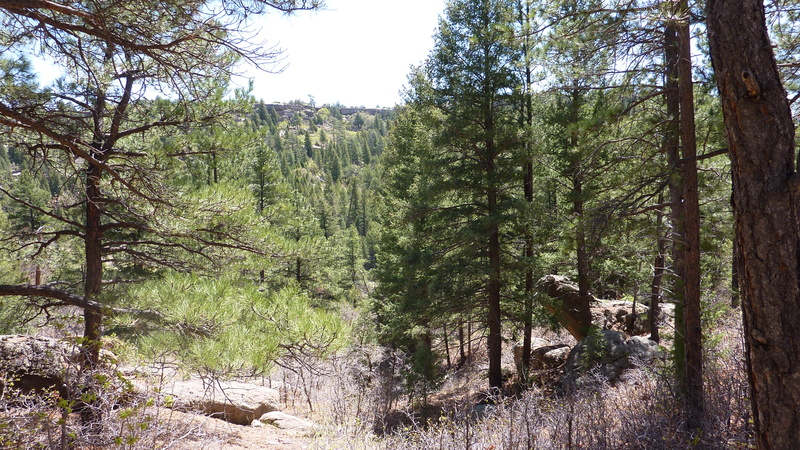 The trail begins amid pines; the far side of the canyon is visible through the trees. 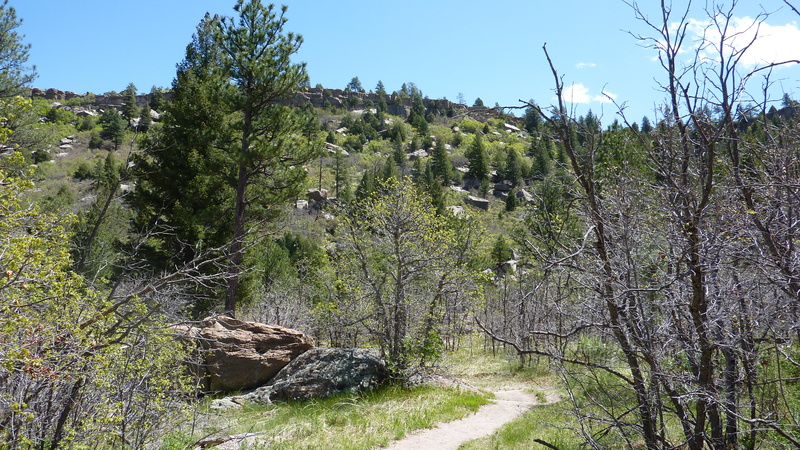 The terrain changes throughout the hike, and as we ascended the eastern canyon wall the pines disappeared and were replace by a more open trail and sweeping views. 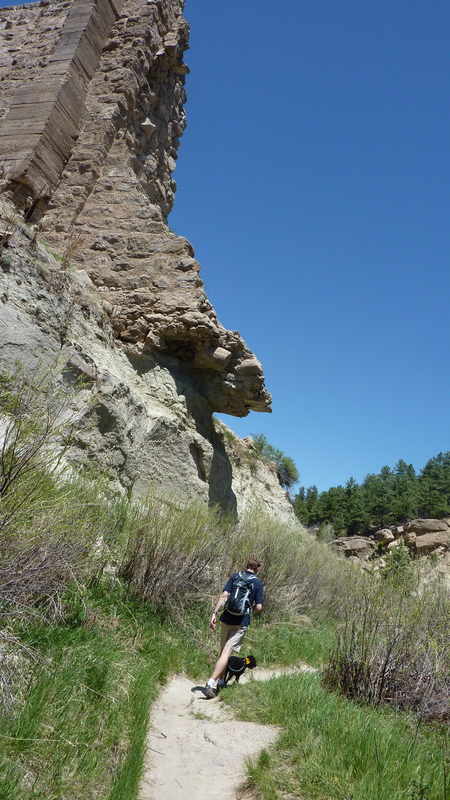 The trail wanders through the base of the canyon before crossing the creek and ascending the eastern canyon wall. Big sky view towards Denver. The top of the canyon is open, rocky, and largely flat. Again, the views are breathtaking. 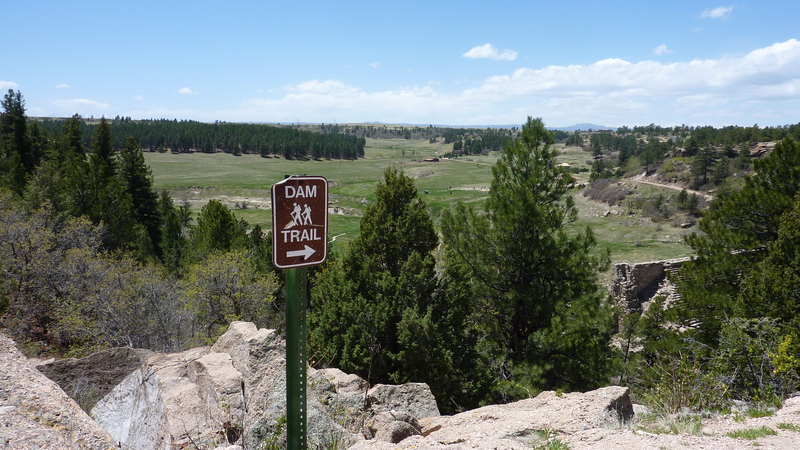 From the rim trail we descend down to the site of the old dam. 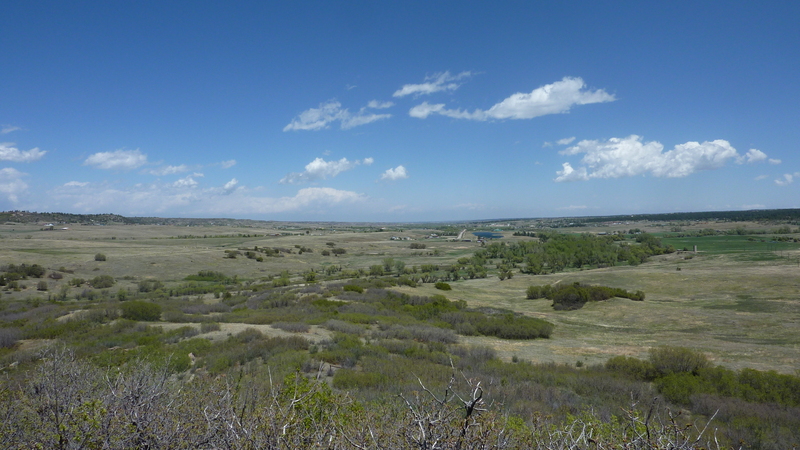 The dam is visible in the right of the frame. Heading back down into the canyon, which is much more expansive here. 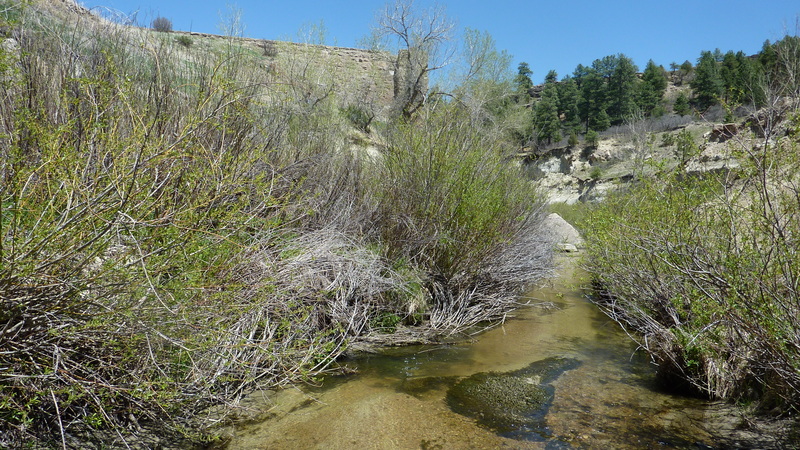 You cross Cherry Creek again before reaching the dam. Somehow, the dam itself always seems a little anticlimactic. The falls area is beautiful and full of perfect spots for wading and swimming. On hot days like yesterday, you see kids and families everywhere.